Frederic Ozanam died on the feast of the Birth of the Blessed Virgin Mary, September 8, 1853. It seems fitting for this man to die on the feast of a woman to whom he had been greatly devoted all his life. Devotion to Mary, the mother of God, was part of Frederic Ozanam’s life from childhood to death. He sought her intercession often. Kneeling at her altar, he prayed, “I place my intentions under the auspices of our Divine Mother…” Frederic believed in the power of Mary, the Mother of God. He often prayed to her for himself and for others. 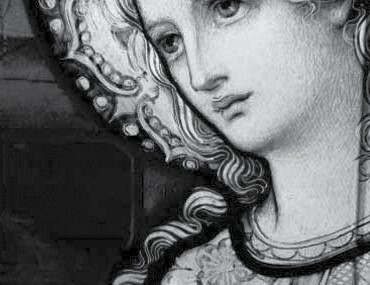 He believed in the power of Mary’s intercession with her divine offspring. Devotion to her was woven into the various stages of Frederic’s life and especially prominent in the poetic devotion of youth, the moral challenges of young adulthood, the transformation of becoming a parent, and the acceptance of suffering and death. Frederic invites us to consider our own devotion to Mary and our trust in her intercession. We ask for the grace of healing the broken hearted. We ask for the grace to recognise Jesus in the poor.